ShopRite Weekly Circular September 16 - September 22, 2018. Family Meals Month! 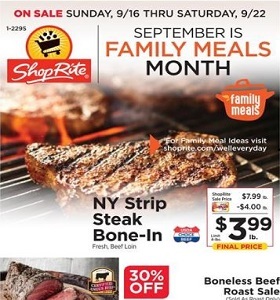 ShopRite Weekly Circular September 16 – September 22, 2018. Family Meals Month! -$9.99 Harvest Metal Lantern; $5.99 Castrol High Mileage Motor Oil.